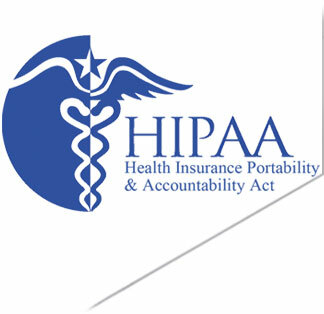 The Health Insurance Portability and Accountability Act (HIPAA) not only protects health insurance coverage for workers and their families, but is also meant to address the security and privacy of health data. Because the electronic transfer of health data is much more efficient and effective, HIPAA requirements strive to create safe standards for these practices. However this does not mean that all online cloud backup and storage companies meet the Security and privacy required by this law. CWSSecureDrive meets or exceeds all of the HIPAA required security features? The Health Insurance Portability and Accountability Act (HIPAA) Hundreds of thousands of potential businesses are required by law to back up their files and store them, encrypted, so they can be recovered in the event of a fire, natural disaster, or other catastrophe. There are hefty penalties for those who do not comply. Obviously, they all want to comply. CWSSeccreDrive now has a set of tools that can quickly and easily bring businesses into compliance. HIPAA requires healthcare providers and their business associates to handle medical records (called Protected Health Information or PHI) in ways that protect the privacy of patients while ensuring the integrity of their records. Doctor’s offices and other healthcare providers are required by law to protect their electronic records in several ways. Establish a Disaster Recovery Plan. Any associate of a healthcare provider who has access to unencrypted PHI. CWSSecureDrive remote backup systems offers a variety of affordable solutions that can help businesses comply with HIPAA, Sarbanes-Oxley, Gramm-Leach-Bliley, and virtually all other privacy and security legislation in the USA and abroad. Backups are done automatically. They are fully encrypted with a password known only to the end user. Files are sent securely over the Internet to your Server where they are stored in their encrypted form. Only your end user can access his files. End users can restore their files online 24×7 using an intuitive restore interface. Make CWSSecureDrive Online Backup part of your business solutions today. With our 14 years in the business and vast industry knowledge, CWSSecureDrive (an American company) is your perfect partner. There is no official certification for software used to help comply with HIPAA. The Act does not specify any type of software. It only specifies procedures and methods used to achieve compliance. CWSSecureDrive is fully compliant with all HIPAA requirements in sections 164.308(a)(7)(i), 164.308(a)(7)(ii), 164.312(a)(1), 164.312(d), 164.312(c)(1), and 164.312(c)(2).